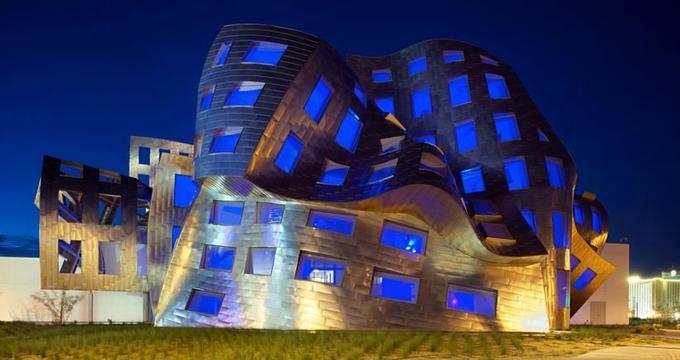 Designed by the world-renowned architect Frank Gehry, the Keep Memory Alive Event Center in Las Vegas, Nevada, is iconic for its amazing architecture. As an event center, this is the place to hold an event or wedding in the Las Vegas area. Its close proximity to the Las Vegas Strip makes it an ideal location for a host of events big or small. With over 9,200 square feet of space, the Keep Memory Alive Event Center is the perfect location for major events that require the best in service and hospitality. With a menu that has been created by some of the top chefs in the world, the Keep Memory Alive Events Center seeks to offer an exceptional event experience. · The Event Center - At over 9,200 square feet, this is the main event space and accommodates up to 400 seated and 700 standing guests. · Museum - At 2,100 square feet, this space can be used as a VIP area, backdrop or stage, or a green room. · Breezeway - At 8,800 square feet, this space accommodates 400 standing guests and is best used for activities such as red carpet events or meet and greets. · Reflection Garden - A space offering 9,200 square feet of standing room with lounge furniture for up to 400 guests. · Kitchen - This is a 3,100-square-foot state of the art kitchen designed by renowned chef Wolfgang Puck and equipped to handle large food service requirements for over 3,000 guests. Contact the Keep Memory Alive Center at (702) 263-9797 for more information on planning an event. Even the presentation of the food and drinks is stellar, with the use of Narumi Bone China and drinks served in Riedel glassware. If so desired, guests can also choose to bring their own chef for their events.